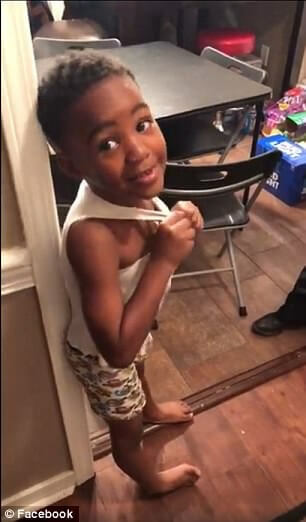 A five-year-old boy from Mississippi was watching cartoons on the Internet when he realized that one particular character is plotting a very evil plan. He couldn’t just sit and watch while some bad guy named Grinch is on his way to steal Christmas! So, he took things into his little hands and called 911. Christmas is on Sunday night, so somebody had to do something about it on time. 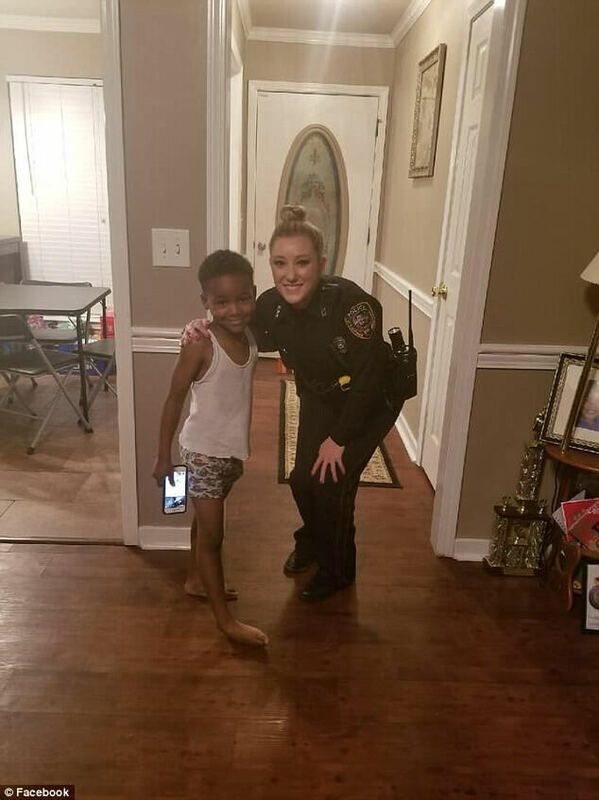 After the boy reported the serious criminal intentions to the police, Byram, Mississippi, Police Officer Lauren Develle rushed to Tylon Pittman’s house to assure him that Dr. Seuss’s Grinch wouldn’t bother his Christmas on Sunday night. 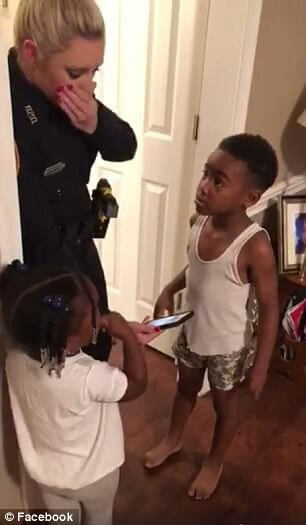 Tylon notified his mom that he has reported Grinch’s evil plan to the police, but she didn’t really believe him and thought that kid’s imagination is telling the story. 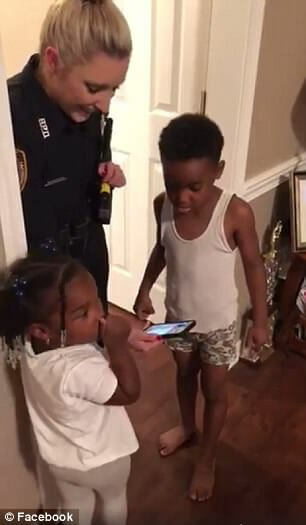 You can imagine the expression on her face when a police officer showed up at the house door. Officer Develle said that he grew up loving the character created by children’s author Dr. Seuss. “I kind of find it really funny. … Every Christmas morning, my dad wears these Grinch pants. It’s his favorite movie. Growing up seeing the Grinch every Christmas was my favorite thing,” said Develle to The Clarion Ledger. 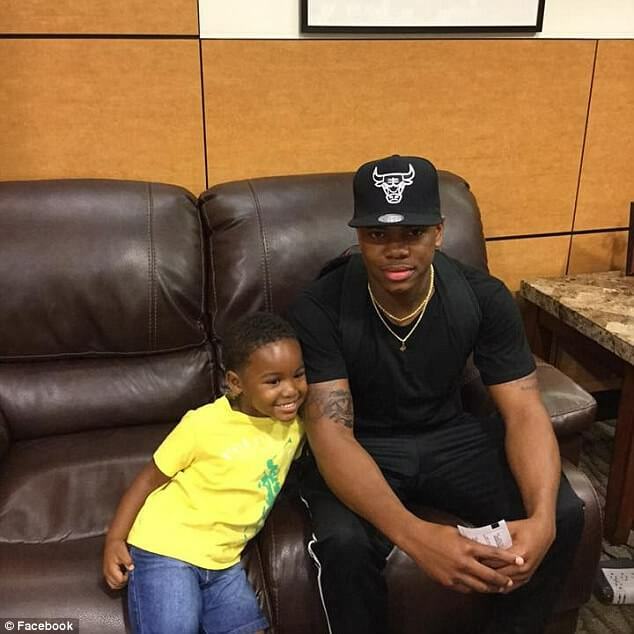 Develle assured Tylon that his Christmas will be safe and the boy was very happy about that. She also asked Tylor what he was planning to do to stop Grinch realize his evil plan. He said he would wrestle him and hold him until the police show up. 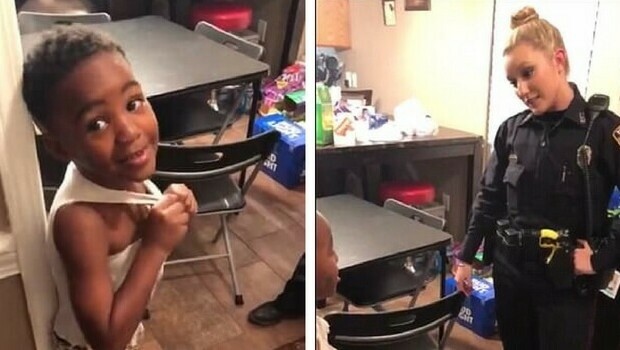 “I’m going to say put your hands behind your back and get down on the ground, then when he gets on the ground, I’m gonna say, ‘Why are you stealing Christmas?” Tylon said. “I can NOT make this up!!! 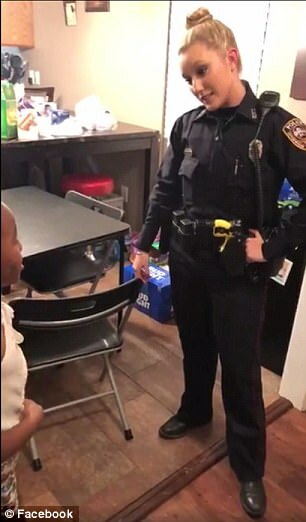 My 5-year-old brother called the police and said that the Grinch is stealing people Christmas and he doesn’t want him to steal his so they really came to our house,” said brother TeDera Dwayne Graves, who was home for the holidays from the Air Force. As you might have guessed, Tylor dream is to become a police officer and he is obviously on a good way.